Ryter's OdorMute C concentrated powder works! Eliminate pet odors. Remove dog urine smell from almost any material! Odormute is the dog and cat smell eliminator! Removing pet odors/smells like cat urine/spray is easy. Spray Odormute to clean and completely eliminate the smell of dog/feline urine from your house, apartment, or condo. Use on surfaces including the carpet, rugs, hardwood floors, walls, inside your car, even on your grass lawn. Odormute neutralizes odor problems chemically, killing smell by removing and controlling the source of the odor. Stinky pet smell removal has never been easier! 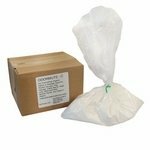 Odormute C -- Concentrate for Kennel Use -- 5 lb. 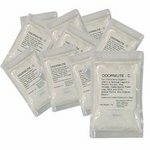 Odormute C -- Concentrate for Kennel Use -- 10 lb.